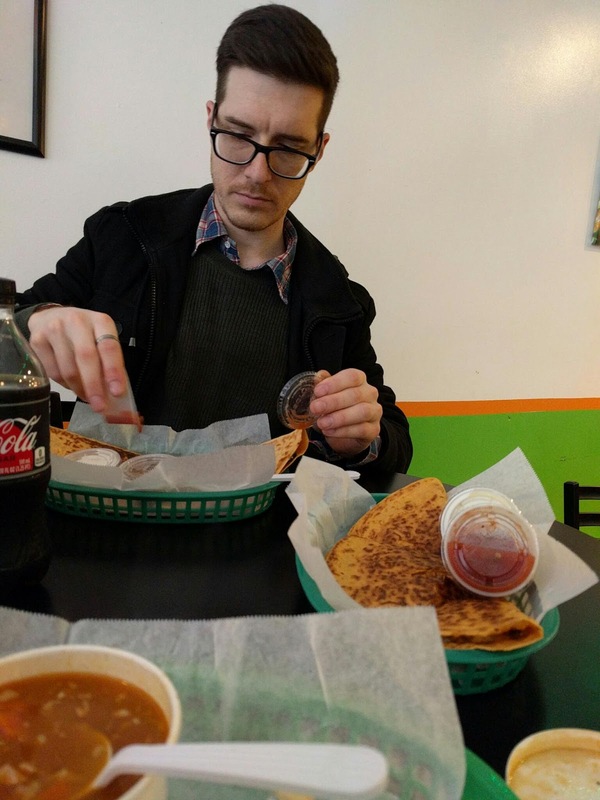 Yes, it is the day after, but I just wanted to mention that M and I did get quesadillas on national quesadilla day. Not that it is an official thing yet, but it's one of the few times I get them. We went to Muddaddy Flats, but there were other places that were also participating. I had the buffalo bird, M had the veggie. Don't really think salsa and sour cream really go with the buffalo, they should offer blue cheese instead. Or maybe they do, didn't ask.